The B-Light Pleasure Trail is incorporates all the features of the B-Light Trail. Made on a tree with a small reiner style front (13" wide) for those who what more swell than our A-Fork. The tooling is the Entz Oak Leaf and Acron with double cut border. 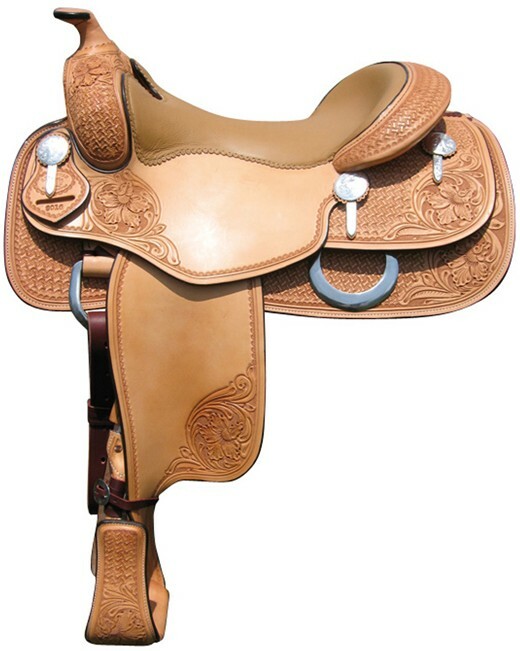 Shown here with the Wade-style stirrup upgrade. All other specs are the sames as the B-Light Trail Saddle II. 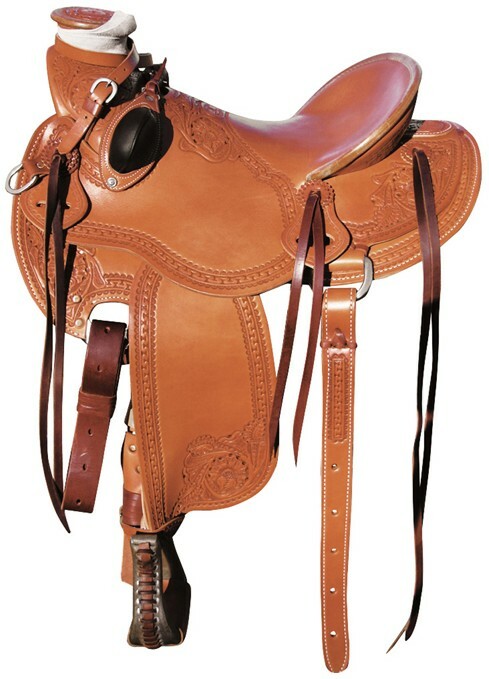 Bowman Saddle model B-Ligth Pleasure. Tree: B-Light Pleasure Tree, made of Southern Yellow Pine covered in a single hand-laid layer of 6 oz fiberglass cloth. 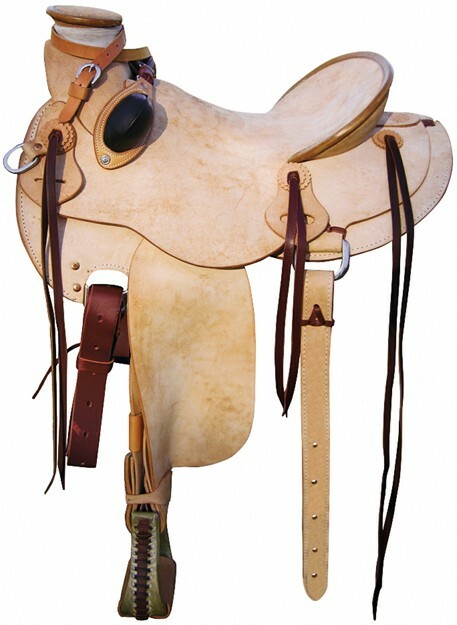 Manufactured for us by Steele Saddle Tree LLC. The ground work is hand shaped using skirting leather over a 20 gauge saddle strainer (tin seat). 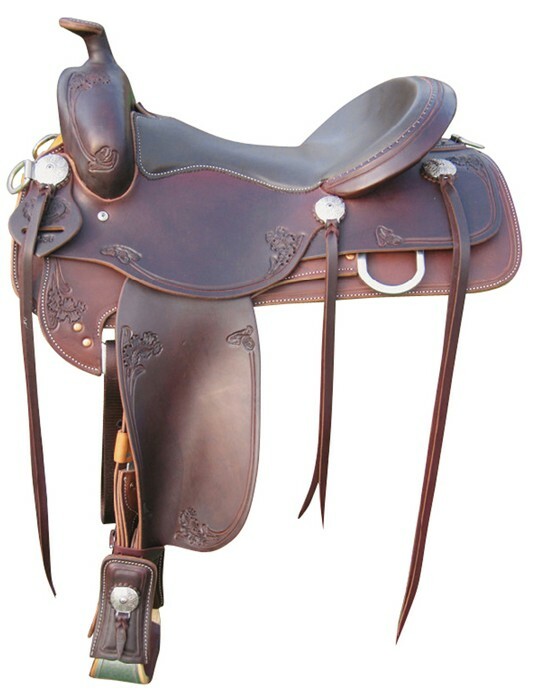 We shape this leather to sit you comfortably in the saddle eliminating the need for all the fancy-named thick padding that many are using today to cover poor ground work. Swell: Light Reiner; Width 13". Skirts: Length 26" (on 16" seat); Width 11" at front and 10" at rear, lined with faux shearling, 90% wool. Stirrups: Wooden metal bound 2/3's leather covered, bell stirrups with hand laced foot pads, 3" treads. Rigging: Dropped plate rigging in 7/8's position. 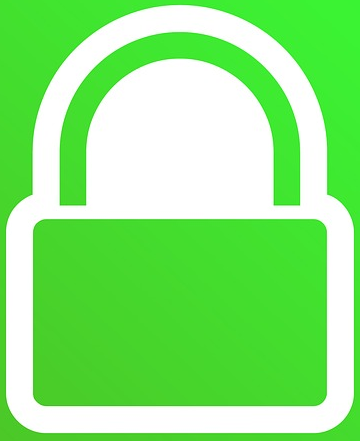 Hardware is Stainless Steel Horseshoe Brand. 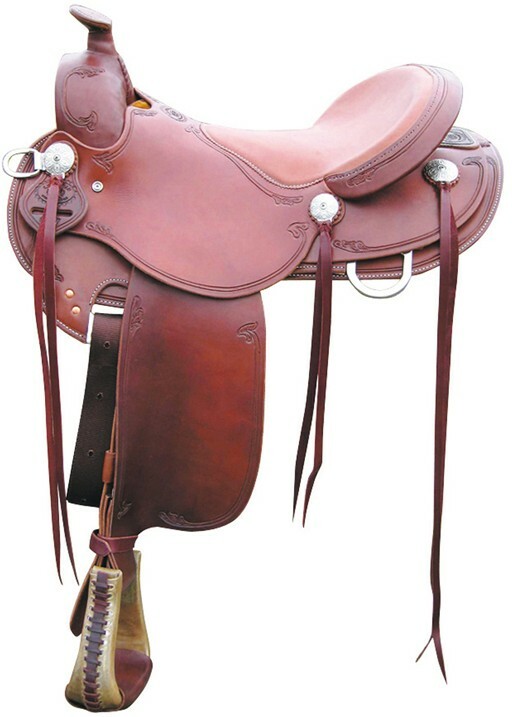 Finish: Each B-Pleasure Saddle first receives a warm coat of 100% pure neatsfoot oil followed by a generous coat of Aussie Leather Conditioner. Tooling: Border Tooled with Entz Oak Leaf and Acorns. 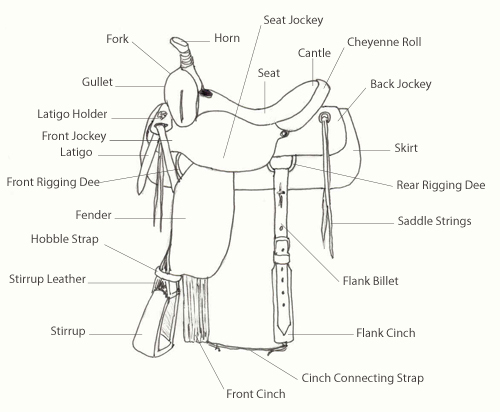 Optional Accessories: Rear Flank Cincha, headstall, martingale.